Not everyone can spend a fortune on decorating a wall and you don’t really have to in the presence of this idea above. 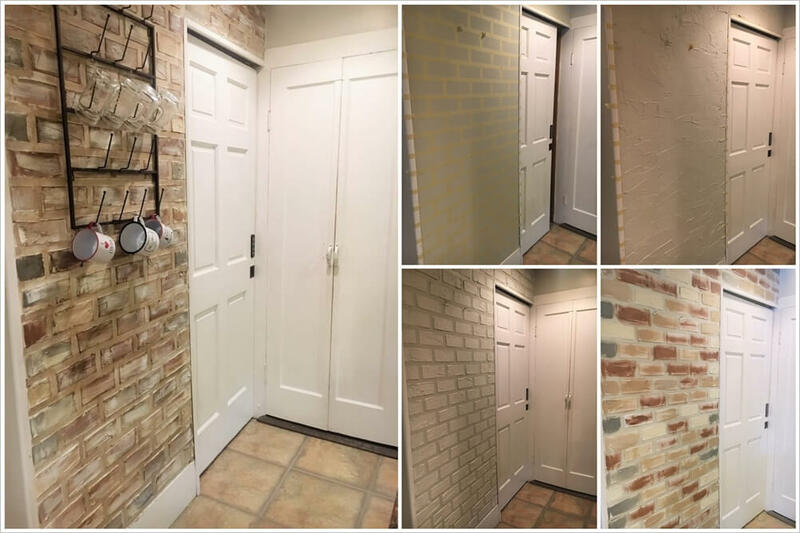 All you have to do is to make brick pattern with painters tape. Then apply a putty like joint compound onto the whole wall with the help of a putty knife. Start removing the tape while the putty still has wetness. Once the tape is peeled off let the putty dry completely. Using acrylic paints paint the bricks and tada! This idea is so simple yet with stunning results and very less cost. Happy decorating!